With religion being a pressing issue in this year’s presidential race, many are examining the role of religion in America. But religious freedom, one of the most basic of human freedoms, was scrutinized long before this year’s presidential race by America’s Founding Fathers, who each had his own religious convictions and beliefs. Much of what they concluded and fought for still greatly impacts America today. Randall Balmer, an award-winning historian, Emmy award nominee, Episcopal priest, and professor of American Religion, examines the fight for religious liberty in his new book, First Freedom: The Fight for Religious Liberty. First Freedom explains how the First Amendment has, according to Balmer, succeeded beyond anyone’s wildest imagination. Balmer says religious freedom also impacts America on an economical standpoint. 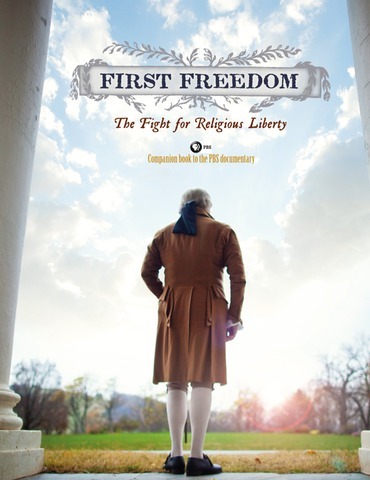 First Freedom will be available in bookstores and online in Oct. 2012. A companion documentary will air on PBS in December.